Antwerp, Belgium chemical and petroleum testing laboratory. 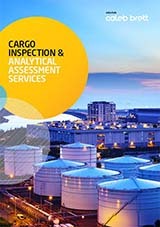 The Intertek Belgium chemical, fuel, and petroleum laboratory located in Antwerp provides clients with product quality control, analytical testing, cargo inspection, and related technical services. The Antwerp lab tests for trace chemical analysis, contamination and many other applications. Testing conforms to ASTM, ISO, and other industry standards. The Port of Antwerp facility also provides extensive bulk commodity cargo inspection expertise. The Belgium laboratory supports petroleum, biofuel, and chemical clients throughout Europe and the world.